The makers of ‘Kalank’ are leaving no stone unturned to keep the excitement surrounding their film high. 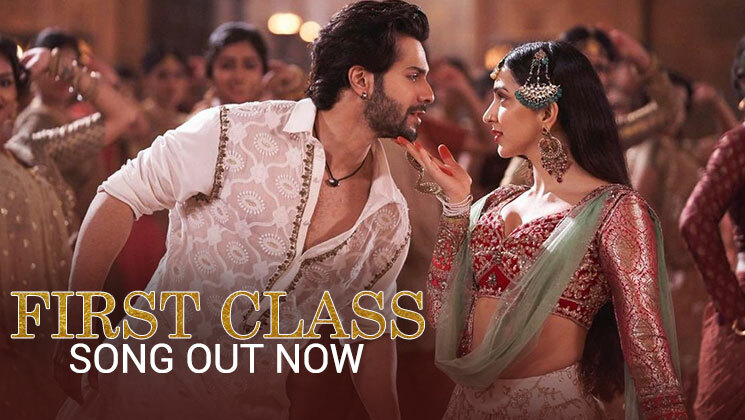 They are yet to release the trailer of the film but have already treated the audience with a classical song ‘Ghar More Pardesiya’ and today they have unveiled a celebratory song ‘First Class’ featuring none other than Varun Dhawan. As expected ‘First Class’ is a fun track crooned by the one and only Arijit Singh and Neeti Mohan. Kohled eyes Varun showcases his dancing skills in this peppy number choreographed by Remo D’Souza. Beautiful Kiara Advani is looking all the more stunning in this peppy Mohalla song. 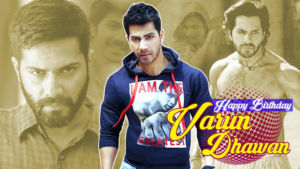 Varun is playing Zafar, a blacksmith in the ‘Kalank’. Going by the film’s teaser looks like he falls for Roop(Alia Bhatt) but destiny had something else in store for them. Helmed by Abhishek Varman, ‘Kalank’ chronicles the story of eternal love and sacrifice. The multi-starrer features terrific actors like Madhuri Dixit, Alia Bhatt, Sanjay Dutt, Aditya Roy Kapur and Sonakshi Sinha. This Karan Johar production is all set to hit the silver screen on April 17. And for more updates on this highly anticipated film, keep watching this space.